The 2012 collection is ready: the blocks are carved, the prints are done, and I finally sent the catalog to be printed. 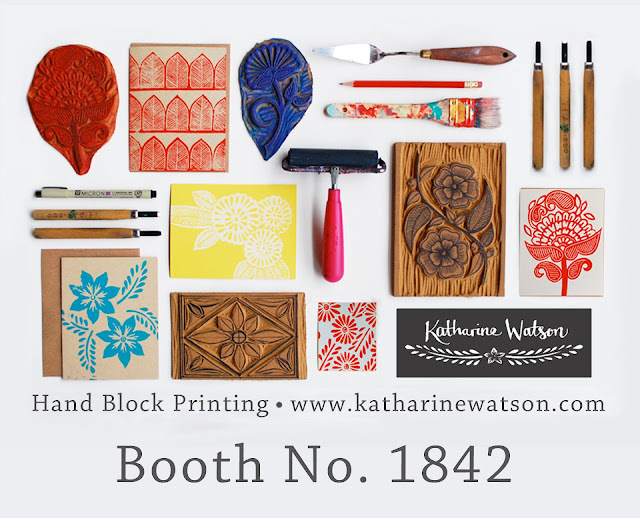 If you will be at the National Stationery Show in two weeks, make sure to stop by Booth No. 1842 to see the new collection. If not, I'll be launching it online right after the show. Also, if you are a retailer who can't make it to the show, send me an email at hello@katharinewatson.com and I'll get you a catalog as soon as they launch! Now that the prints are ready, it's time to get everything else done: finish the booth, stain the shelves, finish the layout; it's going to be a busy two weeks before we head down to New York!